Since retiring from UW-Madison in 2001, Judy Craig has served the UW-Madison Retirement Association as editor of The Sifter newsletter and as a board member and officer (UWRA’s president in 2012-2013). Judy, associate dean emerita in the College of Letters and Science, and her husband Bill, emeritus professor of Medicine at UW, have been married half a century, living in Madison since 1965 except for an Army stint in Germany 1967-70. Both feel fortunate to live in Wisconsin and be associated with the university. Her working responsibilities included space and facilities, managing summer sessions, overseeing teaching assistant administration, and a wide variety of “odds and ends”. 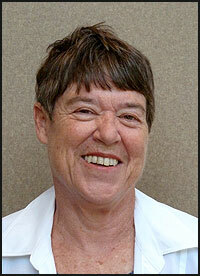 During her career she also earned a doctorate in Educational Administration from the UW-Madison. Judy and Bill have two adult children with careers similar to their parents’, one an administrator in the Colorado state government and the other, who earned a PhD in statistics at UW-Madison, a professor at Purdue University. All four are committed Badger and Packer fans. Judy and Bill have season’s tickets for football, volleyball, men’s and women’s basketball, and men’s hockey; and also enjoy the Madison Symphony, Overture’s Broadway concerts, APT performances in Spring Green, and as much traveling as possible. Now that they are retired and live in a retirement community they spend most of the summer at Green Lake. For nine summers they have attended Grandparents University at the UW with their grandchildren and highly recommend the experience.